FAB Interior Upholstery Cleaner FAB is a Superb upholstery cleaner,stain pre-spotter and All Purpose Cleaner. FAB will clean everything fabric or hard surface areas. Weather it is carpets, rooflings, door cards, seats or hard surfaces such as dash boards FAB will tackle almost any surface and leave a fantastic clean area. FAB is a low foam cleaner and ideal for carpet extraction machines too. 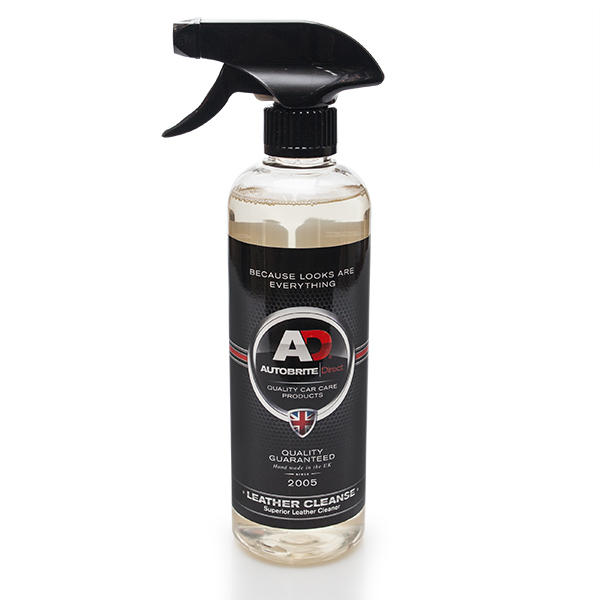 Leather Cleanse A superb safe PH Neutral Leather cleaner that cleans leather in a instant! Removes grime, dirt, makeup, mud, clothing stains, milk, oil, jam, stick sweets and everyday dirt and grime in which your precious leather may gather. Revive Leather Conditioning Cream A unique blend of waxes & oils, to enhance the appearance & feel of leather surfaces. 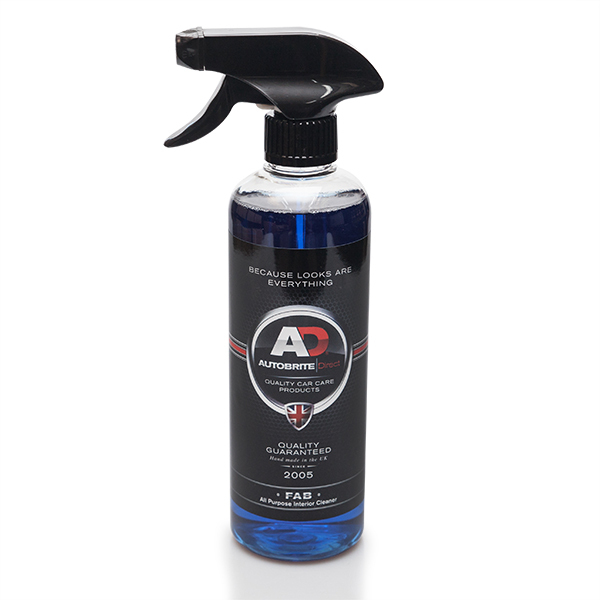 Formulated to lightly clean the surface gently lifting dirt while feeding and nourishing the leather. 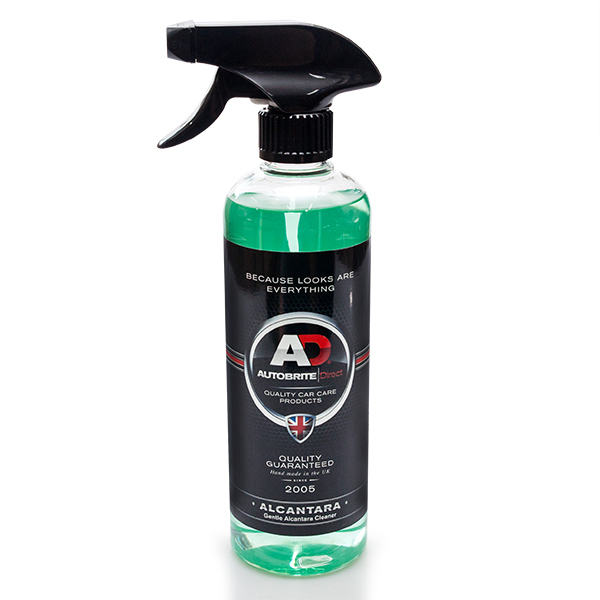 Alcantara & Suede Surface Cleaner Comprises a solvent free, water based cleaning solution that is designed to safely and effectively lift general soiling from Alcantara surfaces without any need for significant wetting or over enthusiastic agitation. 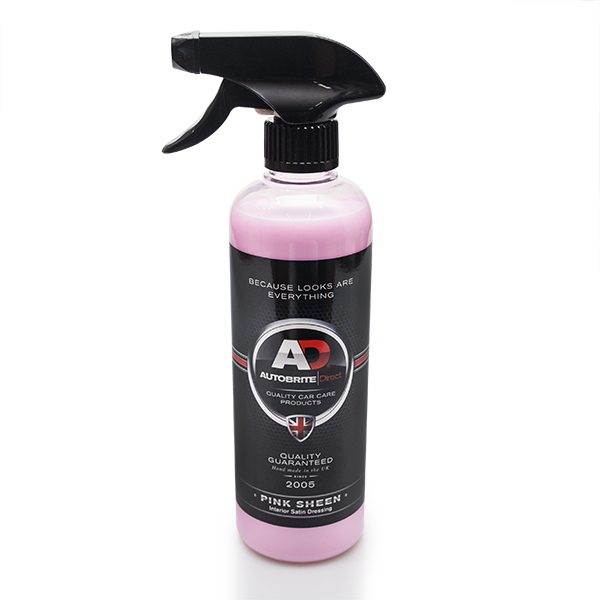 Pink Sheen Pink Sheen is a specialist cleaner and polish/dressing designed to enhance the appearance of all interior plastic, vinyl, rubber and metal surfaces. Bubblegum ProtectantA specialist cleaner/polish and dressing that will enhance the appearance for all your interior and exterior plastic, vinyl and rubber surfaces. It produces a long lasting deep gloss to all surfaces and having great control of the product too. 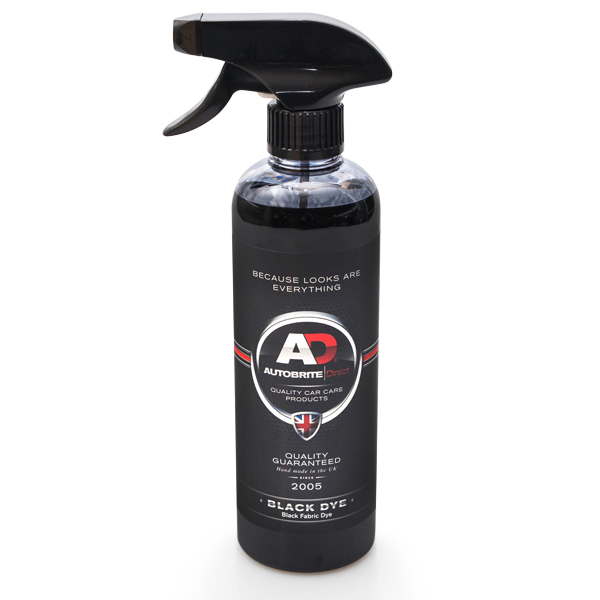 Bubblegum Protectant will condition and protect the surface repelling dust and dirt for that just detailed look that will last for weeks. Black DyeA fantastic all round staining dye used by the professional valeters. Used mainly for staining door trims, soft tops, bumpers, dash boards, door cards and of course carpets. Apply with a brush or sponge to rejuvenate faded plastics and carpets. Please wear protective masks and gloves with this product. Fresh Scents SeriesStrong, some incredible fragrances and a simple spray is all you need. Elinimates odours, freshens up the car and is long lasting.